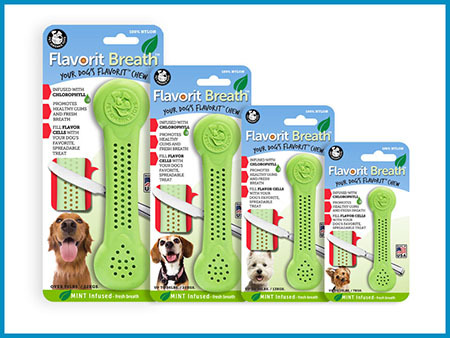 Engineered for aggressive chewers in mind. Tiny flavor cells are molded into both sides of the Flavorit™ bone so you can fill it with peanut butter, cheese, cream cheese, or any other spreadable treat your dog prefers. The tiny flavor cells hold just enough spread to lure your dog to chew, but not so much that they're getting so many calories. You can even add a different spreadable treat on each side to up the flavors! No mess because it’s concave design. Giving your dog non-edible bones also massages their gums and provides scraping action on their teeth, much like a dental hygienist descaling the plaque from human teeth. 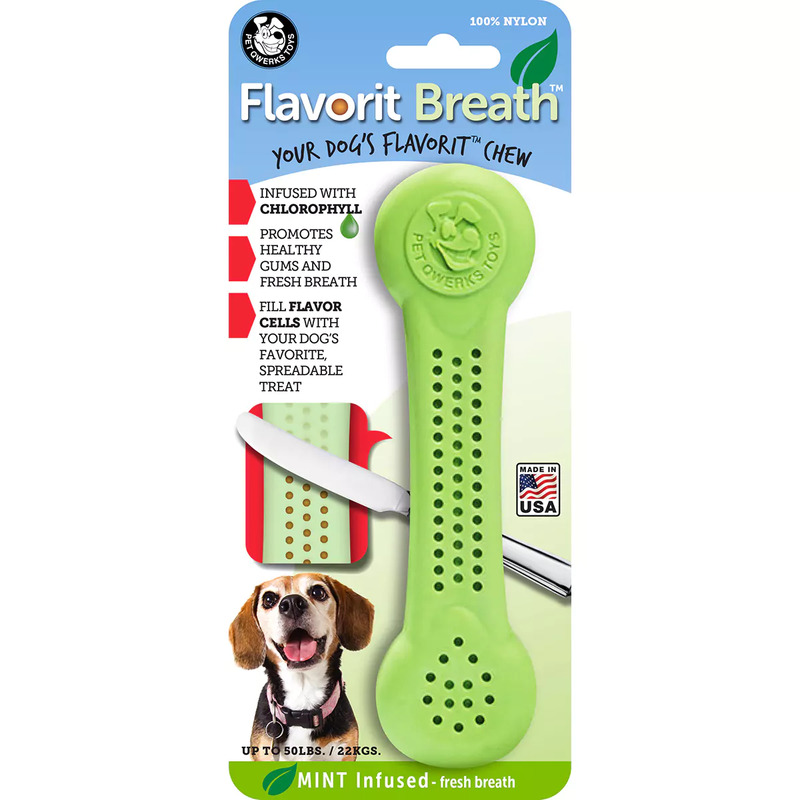 Flavorit Breath™ with chlorophyll is not a substitute for chlorophyll supplements or oral care for your dog. This bone chew is 100% Nylon, Dishwasher Safe, and Made in the USA. Medium Bone Is Recommended for Dogs Up to 30 Lbs. Large Bone Is Recommended for Dogs Up to 50 Lbs. Extra Large Bone Is Recommended for Dogs Over 50+ Lbs.